Our hanging system can be adapted to all ceilings, whatever their height and quality. 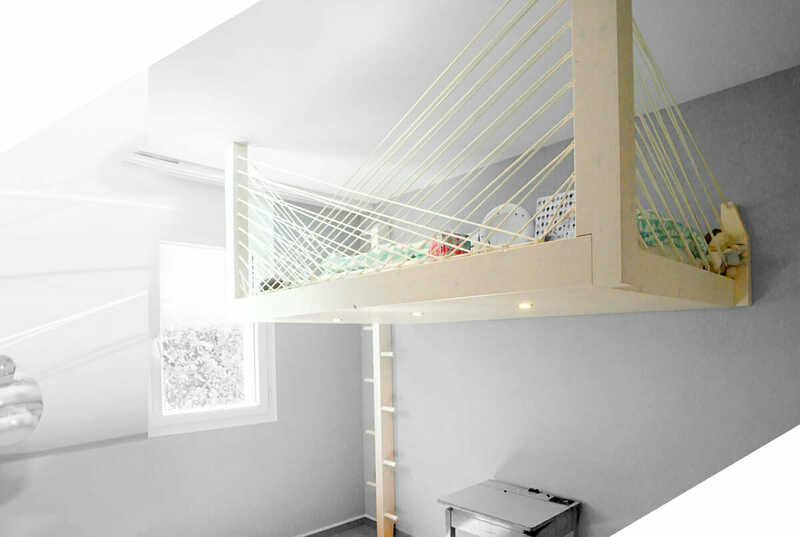 A simple custom bed, transforming your children’s room, or yours. The possibility of creating bookcases or storage spaces according to your needs. 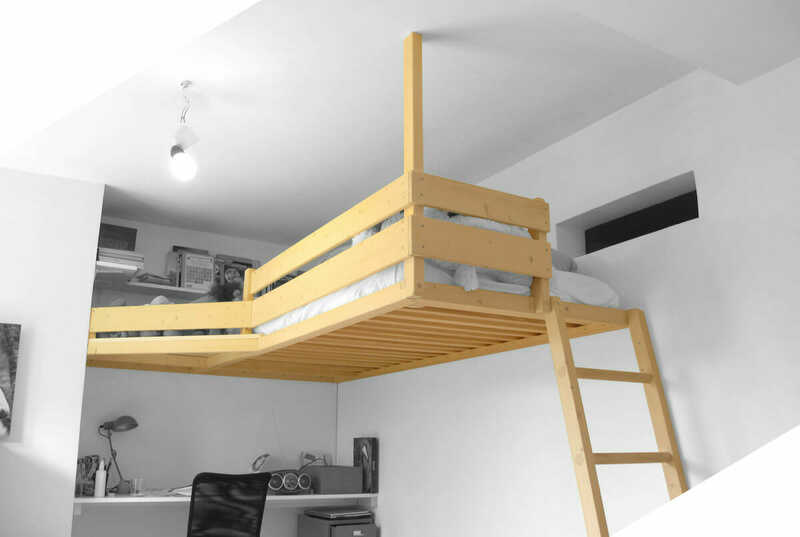 The prices of all mezzanines may vary according to their dimensions, complexities, and options chosen. Traditional or Japanese style ladder and miller’s staircase. Opaque or semi-transparent paint to keep the wood grain visible. LED spotlights under the mezzanine. Electrical outlet at the top of the mezzanine. Barriers in stretched cable and handrail in brushed stainless steel.